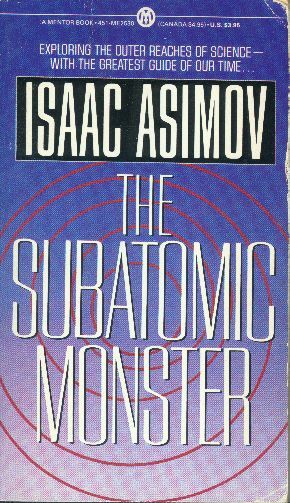 In this fascinating collection, Isaac Asimov shows you an incredibly powerful particle that has been zooming around since the creation of the universe…explains what the theory of relativity really means and how it has been proven…outlines the most astonishing new satellite discoveries…takes you through the mysterious chambers of the human heart…and into the world of the red sun. Although I enjoy this particular collection of F&SF essays, I would not rate it as among the best. There is not an essay here which I don’t enjoy, but there are also few that stand out particularly. “What Truck?” is, perhaps, the best in the set. “More Thinking about Thinking” and “Updating the Satellites” are sequels to earlier essays. The others are a good and worth reading—just not outstanding.